The Double CD for Commodore and Amiga Fans! 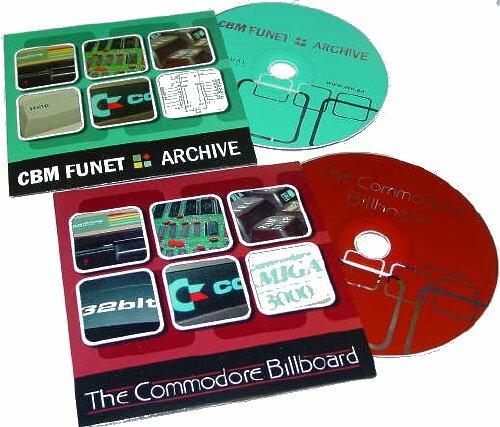 The first CD contains the collection of the Commodore Billboard, plenty of adverts by Commodore/Amiga, print ads as well as TV and radio commercials. The second CD contains a comprehensive archive of CBM material and CP/M stuff taken from funet.fi. This includes the VIC 20 ROM images no longer available on funet.fi. The profits made with these CDs will go directly to the Commodore Billboard to ensure its operation.